A significant changing of the guard is underway in the world of telecoms and tech out of Asia. 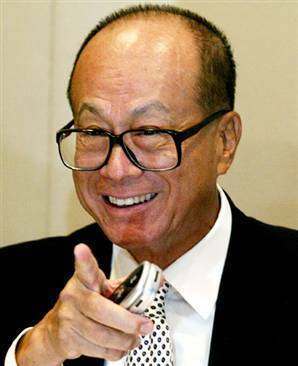 CK Hutchison, a Hong Kong conglomerate that owns the European mobile carrier 3 among other mobile and tech holdings, has announced that Li Ka-Shing is stepping down as the company’s chairman and executive director, after 46 years at the helm and 68 years since founding Cheung Kong (CK), effective May 10. He will be succeeded by Li Tzar Kuoi, known as Victor Li, his son and the brother of businessman Richard Li. Li Ka-Shing is Hong Kong’s richest man, and he also controls Horizons Ventures, one of the bigger and more influential VC firms not just in Asia but globally. Horizons told TechCrunch in a statement that it would not be affected by the move. Li (pictured here) stepping down marks the end of an era of Hutchison building up a conglomerate that includes shipping and port services, energy, retail and more alongside telecoms. The departure was announced at the same time that the company reported its earnings, with revenues of 414,837 million Hong Kong dollars ($52.8 billion) and profits of HK$35,100 ($4.5 billion) for the fiscal year. The company has some 123.1 million subscribers to its mobile services across various markets in Asia and Europe. Hutchison made a big play to acquire O2 in the UK from Telefonica for $14 billion some years ago, to step up its presence in the region, where it has traditionally trailed behind incumbent carriers, but ultimately European regulators blocked the deal. More recently, the company partnered with Alibaba’s Ant Financial to develop an Alipay payment service in Hong Kong.